Imagine a gigantic whiteboard. That is right, a board just like the ones we use in schools, in offices, to pin a memo, photo or a shopping list. But, there’s more to this board than its giant size. It is special. It is open. Open to anyone who wishes to save a memory or gather beautiful content. Then, can you even imagine a group of 175 million people? Neither can we, as it exceeds our visualization capabilities. But, that is the (growing) number of monthly users who enjoy our gigantic memory board, pinning and pinning and pinning the amazing content for others to see. So, what is Pinterest and why is it so popular? The habit of pinning comes in many forms, but the core reason behind it remains: wishing to keep all the important, useful or simply, beautiful things organized in one place. Remember elementary school scrapbooks? Or diaries? Did you ever keep your notes, pictures, reminders, pinned on a board for the sake of clarity? Well, the same philosophy inspired the creators of Pinterest in 2009! Pinterest is now counting 175 million monthly users (according to data from April 2017) and this number is constantly rising. Over 1 billion (yes, you read that right, billion) pinning boards exist on this social media network. What might be the reason for this kind of popularity? Grow a brand’s presence and more. Literally anyone who wishes to keep images/content under any topic/interest nicely gathered, organized and available. The truth is – just about everyone can find a practical use on this social media website. We believe that its applicability is the biggest benefit of Pinterest. A common misconception about Pinterest, as a visual-based social network, is that it’s perfect for designers, artists, photographers and related professionals, but not so useful for non-visual businesses. This couldn’t be further from the truth! Share educational materials, articles, and much more. Honestly, image-based marketing became crucial for brands and consumers alike, no matter the niche. Imagery contains such an effectiveness, that missing out on the opportunity to engage large audiences through it, simply isn’t acceptable for businesses small and large. What can a business/agency/digital professional gain from Pinterest in particular? The clear and easy-to-use platform that leads interested visitors straight to the website. An average lifespan of your social media post or how long it “lives” on the news feed for people to see, is one of the determining factors in social media marketing. We all know that social media platform differ, having different posting habits and algorithms. These filtering factors influence the average “shelf life” of posts and on some networks, such as Twitter for an example, that time is ridiculously low – less than 30 minutes. The major benefit of Pinterest for businesses is definitely an extended shelf life of posts, compared to the majority of social media networks. And it does make sense – when you pin something (in real life as well), it is there to stay! Why is this so beneficial to businesses? Simply said, the longer your pins are available for people to see, interact and pin, the more chances there’ll be for conversion. And conversion is what we seek for. Target groups: Who primarily uses Pinterest? More than 175 million active monthly users (April 2017) are pinning their favorite content onto our gigantic board – Pinterest. That’s 175 million unique souls, all enjoying this social media platform’s features, either from personal or business goals. If you mean business, keep this in mind: in the following lines, we will show which target groups are most active on Pinterest, but use that data as a general insight, not as a solid rule. Simply, Pinterest audience is vast. Same as with the other social media giant, Facebook, the chances are big that your desired audience is in there, so don’t let these facts limit you in any way. Except maybe the fact no. 3 on our list below. That one might make or break your marketing goals, depending on your buyer persona. Read on. Another useful fact for businesses, agencies and any Pinterested professional is – 60% of users on this platform are from US. Pay close attention now: 87% of users on Pinterest have purchased a product after seeing it on this social media website. Pins are no joke and should be taken seriously. It is a place in the vast realm of social media for anyone who wants to keep, organize and share quality content. It is mostly focused on female population and therefore, the topics and niches connected to this target group (but, don’t cling to this fact, remember that Pinterest has 175+ million users). Finally, Pinterest is a growing social media site (or engine, as some experts love to say), perfect for companies, firms, agencies and entrepreneurs wishing to grow their presence online. The most Pinteresting fact is – the majority of users make purchasing decisions based on the pinned content. Therefore – if visibility, conversion and profitability are what you’re seeking for, search no more and start pinning! Honestly, the word pinning itself doesn’t sound particularly powerful, right? But do not get confused by that casual and somewhat childish impression. An action as simplified as pinning (it’s literally a single click of the mouse) can introduce your business and your brand to a whole new audience. When done right, Pinterest marketing strategy builds a lasting, widespread, and potentially highly profitable web of connections. Let’s say that you have an amazing blog post and your wish is to share it with wider audience, which will draw more traffic to it, etc. With those bold goals in mind, you pin it. At that point in time, your Pinterest profile has no connection whatsoever with any of those excited repinners. Your post is travelling on its own, winning new views, clicks and conversions as it goes. And there is no “expiration date” on pins, remember that the shelf life of posts on Pinterest is among the longest online. If it’s interesting, valuable and useful, your post could travel through this platform for months, even years. Can you see the power of pinning now? It’s head-spinning. In order to turn the monetization switch on your pinning strategy and truly benefit from that adventure, you must first master the main parts of Pinterest. Equipped with this knowledge, any business owner, agency representative or marketing professional can swim more smoothly through this, a bit unordinary, social media network. Now, as any other social media site, Pinterest has its own terms and basic parts. Boards – basically, places where categorized content should be stored. Aim to group the content around the same/similar interest or topic, to make navigation easy for your visitors. Secret boards – if Pinterest is all about visibility, why would you need secret boards? Well, hiding the content might be useful when you’re preparing the board before presenting the to visitors. Also, you wouldn’t want others to see your competition research, right? Group boards – as the name yells for itself, multiple pinners can also share content within a single board. Think of it as an extremely simplified version of Facebook groups. Extremely, extremely simplified. Its Highness, the Pin – a pin is always an image, linking to an external webpage. That linked webpage could be anything: a product page, landing or sales page, an article, a contest or giveaway… Anything you want to share. “Pin it” button – simply, a widget or a plugin added to your site or blog, making pinning of any type of content possible in a blink of an eye. Repin – the elegant brother of Facebook’s share and Twitter’s retweet, repin is used to spread other people’s amazing content. As a brand, always make sure that those repins are compatible with your own offers/products/services. Once repinned, they’re not going anywhere, therefore all content should represent your goals nicely. Likes, Comments – not everything on Pinterest revolves around pinning. Make sure you’re using different ways to engage with people and keep them engaged too. Something as simple as liking and leaving a short (but not generic) comment might lead to further communication and hopefully, more purchases. Sometimes, even a platform this simple can still seem confusing to business minds of all kinds. How to present a brand in the best way on Pinterest? What kind of images should you pin? Can you pin only new content or…? Images: one rule applies to the whole world of social media – always post only high-quality, clear, in one word great images! Audience: another universal rule – get to know your target market well before diving into actual posting or in this case, pinning, repinning, liking, and commenting. Content: you’ve probably heard this one before as well and it’s a rock-solid rule, for any social media platform. Whatever content you might be linking to your pins, ensure that it’s valuable, informational, educational, entertaining, memorable, and helpful. Engagement: do not pin and leave. Follow and support other pinners, as you’ll never know who might be your next customer. Successful social media strategy is always about lasting connections and the built up of your brand’s presentation. Analysis: want to know which pins resonated with your followers the most? Or who’s ecstatically repinning your content? Check the data frequently and constantly fine-tune the marketing strategy. Visibility: the final breadcrumb ensures that your pins are visible and reachable. Don’t expect for people to spontaneously stumble upon your pins – over 5 million of article pins appear online every day. Promote your Pinterest profile: on your company’s website, blog, other social networks, or via email. What content can you pin – new, old, curated? There are as many marketing strategies, as there are unique businesses. What we can do now is cover several tips and ideas that might help you shape and execute your own Pinterest approach. Keyword research – before filling your beautiful boards with quality content, search keywords and phrases on Pinterest, connected to your brand, offer and buyer personas. Using older content – no need to limit yourself to current content only. Use the chance to revive some old blog posts, articles, case studies, by pinning them for new people to see. Repurposing, recycling, reshaping – Smart marketer’s secret weapon. Do you have a useful and fun newsletter? Why not turn those emails into the serie of graphics! A long, comprehensive guide? Consider turning its key points into an infographic! Quality content doesn’t lose it’s value when repurposed. And guess what else won’t be lost? Your time. Curated content – Either using the RSS reader or simply by subscribing, follow the blogs closely relevant to your business and pin their content along your own. Not everything on your boards needs to be original and unique. As you probably already know, there are personal and business profiles available on Pinterest. In some cases, business social media profiles do not really offer a lot. Pinterest, on the other side, offer some pretty awesome features to its business users. The most important ones are: Analytics, Promoted Posts, and Rich Pins. You previously learned (because we know you read everything devotedly) that by observing your analytics, you can gain a plethora of valuable insights. The promoted posts, however, will be covered in our future guides, as we’re mainly focusing on organic (read: free of cost) marketing methods in this series. even a product itself, including the location! This is particularly useful for local businesses, just imagine: your pin will not only turn heads because of its astonishing content, but it will provide an accurate map, leading followers straight to your door (and cash register). Do not miss on this feature, our friend. Good job on learning so much in such a short time! Now that you know how you could pick and use the right pins, it’s time to quickly cover the board structure. Our general suggestion, for setting up the boards properly, is to initially pin five articles to each board. By doing this, you’ll elegantly fill the thumbnails and then, continue adding the pins separated in categories. Sign up to Amplifr and connect your Pinterest profile to post across all social networks. At all times, make sure that your boards are nicely categorized and easy to navigate. After all, your visitor’s (future customer’s) impression is what matters, correct? Remember how we used to sing praises about Twitter tags and hashtags? Well, prepare to be amazed by the amount of positive facts, but this time covering Pinterest tags and hashtags! After reading this post, all your questions on how to properly (hash)tag on Pinterest will be resolved. Now, let the tagging adventure commence. No, it is not because tagged posts look better (though they do look a bit nicer with tags). Tags on Pinterest have a rather practical use, the same as on Twitter or Instagram. When your posts are live, it won’t be enough to merely leave them there, waiting for people to discover the content by chance. Simply, when it comes to building a solid social media marketing strategy for any business, you must find ways for your content to be found online – easily found, to be exact. This can be done by external activities, such as informing your email subscribers about the amazing pins you’ve just created. Or, it could be done inside the social media platform itself. As a business, you need to be discovered in order to succeed. Either way, when searching through their interest topics on Pinterest, people can find your content if it’s properly tagged, and head on to further engage with your business. If your tagging strategy is done properly, those visitors should fit into your particular target audience. Thank you, tags! Pinterest’s tagging system uses the exact same symbols as Twitter. The famous hash sign or hashtag (#) rules this social media site as well. 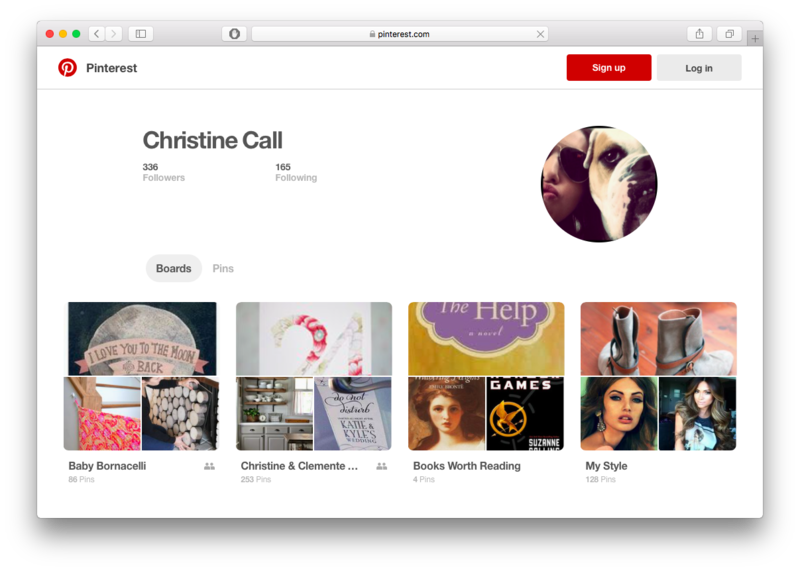 Its faithful sidekick, the mention tag (@) is also present and welcome on Pinterest. Their use is also familiar, so #hashtags are used for the marking of topics, keywords, interests, and @mention tags are placed when you wish to draw someone’s laser-focused attention to your post. As mentioned, hashtags can be used on Pinterest for search purposes. Essentially, you should try and use several techniques to drive relevant traffic to your business profile. But, the only person who can set the exact measure, direction and quantity of hashtags for your Pinterest strategy is – you. 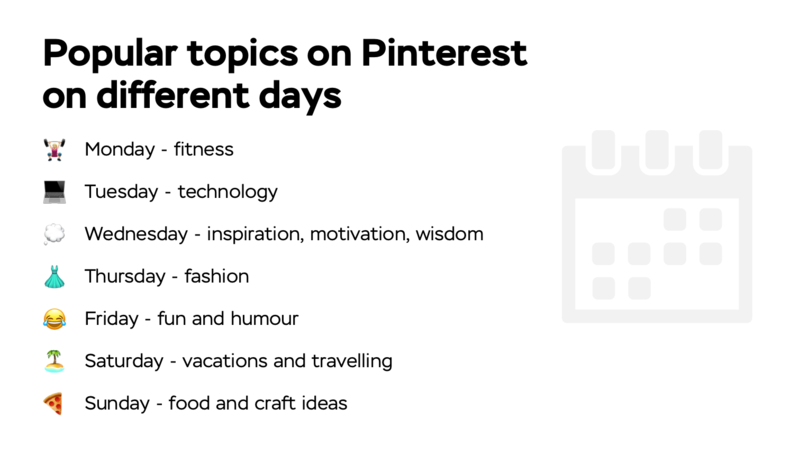 The first thing you might notice is how hashtags on Pinterest do not carry the same importance as the ones on Twitter. Simply, people can click on hashtags is pin’s description only, which limits their potential use. Keep in mind though, that hashtags can be nicely linked not to your pins, but the boards. As the matter of fact, the search results for hashtags can be filtered to show only boards, so feel free to experiment with various positioning and targeting across your profile. Do your research. Before deciding on an ideal blend of hashtags for your pins (or boards), take time to dig into the keywords most closely connected to your business. Unique, branded hashtags might work well on Pinterest – invest some time into playing with branded tags. Keep them short, clear, and easy to remember. Consider using hashtags to manage the content around your contests and promotions. Avoid placing too many hashtags into your descriptions, as doing so might seem spammy. Any kind of spam-like activity may negatively affect your ranking and should be avoided, always and forever. To be honest, hashtags are not as strong and reliable on Pinterest, as they are on Twitter or Instagram. Simply, the platform is structured differently and the use of hashtags varies on every social media platform. When searching for a particular term using a hashtag on Pinterest, you might get plenty of results, not all strictly relevant to your search. On the other, brighter side, custom branded hashtags have proven to work nicely on Pinterest. Across this extremely visual network, brands can truly position themselves in a useful way with wisely crafted hashtags. So, try crafting a hashtag of your own, insert them continuously. Make experimenting with hashtags a fun game (believe us, it is fun), which will eventually lead people straight to your content in months to come. Other than that, expand your efforts to other ways of attracting visitors as well. The more energy you invest in communication and connecting all of your marketing channels into a coherent network, the better results you’ll have. When it comes to mentions, the principle is even simpler than the one with hashtags. Whenever you wish to mention another Pinterest user, you can do so if you’re following at least one of their boards. Whether you wish to say thank you or purely, draw someone’s attention to you pins and offers, just begin typing that person’s username after the symbol @. The engagement is a building block of any prosperous social media strategy. Pinterest mentions can help you form long-lasting connections, so use them strategically and use them with purpose. Posting times for Pinterest should be in your peak interest. Why? Because this platform gives you freedom you’re not going to find elsewhere. And by elsewhere, we mean on all other social media websites. The Pinterest is no different than any social media network, when it comes to this rule – consistent sharing strategy is crucial. If it’s so, why can’t we just set our own schedule, post throughout the day (and night), and enjoy the benefits only a fruitful social media strategy can bring – increased traffic, more leads, the abundance of sales? Unfortunately, that wouldn’t be enough. The posting consistency itself means nothing, if it doesn’t follow the platform’s specific set of rules, or otherwise called, an algorithm. So yes, by spreading your pins throughout the day you’re setting the foundation, but only with well-planned time variations, you can expect the high levels of exposure and engagement. Every giant social media site changes its algorithm from time to time. Pinterest, in such manner, has made recent changes to their Smart Feed. Meaning, the user’s feed is now personalized, showing only interest-based posts. Why you, as a business representative aiming to master and monetize Pinterest, should buy an imaginary cocktail to this platform, as a token of ultimate gratitude? Because, by personalizing the feeds, Pinterest gave you freedom to pin anytime you feel like it, without the possibility of overwhelming your audience! We cheer to that. Still, is there a frequency that performs the best? Just because the chances you’ll overwhelm your audience are slim, doesn’t mean that you should try. True, those changes are beneficial, but still – social media in general doesn’t support spamming. And it never will. So, what is the recommended frequency of posting on Pinterest? We’ll suggest a starting point of 5 pins per day, because your business should be visible and anything lower than this number puts you into risk of getting unnoticed. The maximum of pins should be around 30 pins throughout the day. Well noticed – the difference between these two numbers is enormous! And it might sound surprising, but some marketing experts even suggest that the sky’s a limit when it comes to Pinterest daily posting. Despite these ambitious claims, let us ask you: do you have enough high-quality, engaging, irresistible content, to post 30 (preferably different) pins every day? Without the intention to offend anyone, but rare are the brands who have such abundance of content and entire teams dedicated solely to content creation. The wisest conclusion here might be – whenever you do have the mouth-watering content worth sharing, feel free to do so. You won’t flood your audience and each pin is a chance to reach more people and expand your business. Clearly, Pinterest offers such extravagance, so make sure you’re using it. Of course, your utmost focus should always be on engagement. There are many elements we need to consider when setting an effective strategy for social media. Needless to say, what makes or breaks all of those efforts is engagement – how many people interact with your content, entering the funnel it opens. All in all, the peak engagement part of the (any) day is afternoon and evening, and a peak day in total is Saturday. With its Smart Feed, giving you wings to pin as much as you’re capable, and its dynamic audience hungry for quality content, Pinterest is a true wonderland for businesses of any size and industry. Stay consistent and enjoy the freedom on this, a bit unusual, but extraordinarily welcoming network. Sign up to Amplifr and connect your Pinterest profile to test your peak engagement predictions. Social media has evolved to such an extent, that regular posting of highest-possible-quality content is not enough for growth (not to mention, sales). In simplest of words, engagement has become the ultimate predictor (and enabler) of a successful marketing strategy. Companies of all profiles, types, and sizes are competing for people’s attention, finding ways to intrigue, attract, and eventually, convert visitors into customers. And even the Fortune 500-level companies cannot afford to ignore this necessity for connection, lasting engagement and audience nurturing. It is simply the vital element of the modern era we’re in and the pillar of current marketing trend. We challenge you to try out these simple, yet effective methods to drive more engagement on Pinterest, but also – get creative and never stop searching for new ways to connect with your followers. Always a highly entertaining and rewarding strategy, holding competitions can also improve the marketing efforts on Pinterest. As a prize, you could set a coupon, a gift, whatever suits your business goals. The winning criteria is also up to you and your imagination – it might be the prettiest picture or a funniest board. Either way, competitions are an excellent ways to engage people with your brand and company! If you’re lucky to have loyal fans on Pinterest, a wonderful way to say thanks and involve them in your business is by adding them as contributors. Similarly, consider including your top customers/followers into the product creation or an advertisement. This way, you’ll not only strengthen the audience-company bond, but gain new followers as well. The solutions don’t have to be crazy creative in order to work well. Some of the simplest and most obvious examples, are definitely: host an offer to inspire more engagement. Not only will your followers be thankful, but the chances are high they’ll have a lot of fun too! Craft an irresistible offer to unlock the possibilities for more pinning, liking, commenting, following and purchasing. An upside of this social media network is how easy it is to make a connection with other pinners. Still, certain rules and guidelines could help you level up that game of attraction and interaction on Pinterest. Consider the more advanced scheduling and analytics tools such as Amplifr, to gain the complete insight into your Pinterest growth. This simple step often gets forgotten by business Pinners. So, make sure that the handy “Pin It” button is placed on every page of your website. By making this small check, you’ll enable easy and quick sharing of your content. And certainly, you want your content to be shared and viewed by as many people as possible! Giving proper credit and connecting with users directly is of the utmost importance on Pinterest. In order to provide the best possible user experience, especially because you’re presenting a brand, always make sure to give credit to original pinners. Also, don’t forget to show the gratitude for your top followers, repinners and outstanding customers. Maybe this tip doesn’t seem directly connected to engagement at the first glance, but rest assured – no one would engage with a messy, chaotic board. As an example, because people will follow your brand to enjoy a specific content, finding pictures of cars in a “books” board could only ensure an unfollow. Not many platforms offer such light-hearted, dynamic space, ideally built for long-term engagement. Pinterest is a place for interests, hobbies, discovery and a lot of (day)dreaming. Therefore, engaging with your audience on this social media platform could easily provide satisfaction for both sides. Timely answer the questions that might appear, listen carefully to your followers’ needs and interests, provide occasional peeks behind the scenes – interact, and your Pinterest strategy will pay off in many ways. Pinterest has been turning heads lately, especially the ones of agency executives. If you think we’re exaggerating, prepare to be amazed by following insights. Social media platforms are competing in every sense of the word. Giving their best to provide the ultimately pleasant user experience, these networks, including Pinterest, are forced to constantly upgrade their features. Though it might not be obvious, Pinterest has been rising the bar at a dramatic rate, building highly sophisticated ad tools, advanced features and ensuring the super-smooth experience for all pinners. As an example, the search feature recently launched, enables a Pinterest user to comb through millions of images, using an image, not text. In this and many other ways, Pinterest is trying to get near to both consumers and marketing professionals. But, why is this important for agencies in particular? As Pinterest relies on visual content with all its power, the visual-search feature might secure its favorable position even more. Knowing that merely adding more search options is not enough to keep the marketer’s attention, Pinterest decided to open its Promoted Pins for U.S. advertisers. Bit by bit, this giant is gaining clarity on what media and marketing professionals truly need, and it’s determined to keep raising the standard. With this in mind, agencies should definitely pay attention to Pinterest and it’s evolving promotional features. Therefore, marketing and media experts should view Pinterest not only as a social media platform, but as a tool for monitoring the purchase behaviour and shopping trends. Yes, there’s a special business profile option for agencies wanting to use the best of Pinterest. And there are many ways in which to could use it, with one of the main being – generating targeted traffic to clients’ websites. Now listen, the quick wins are what makes Pinterest tempting in this sense. Unlike SEO, which proves to be a rewarding strategy for long-term results, Pinterest can be used as an additional revenue stream or simply, as a tool for buyer-behaviour monitoring. Using Pinterest marketing as a tool for your client success is a realm worth of exploring. Various tools, product features, including the Pinterest Propel, a free 30-day program with Pinterest experts. In the very core of Pinterest’s use for agencies, lies planning. Hundreds of millions of pinners plan their everyday decisions, purchasing steps and life events on this platform. Think of the ways your clients could use such insights for their business. Pinterest gifts you with invaluable peek into customers’ habits, desires and eventually, the motivational triggers behind purchase-making decisions. Speaking of customers, the next thing agencies should focus on are targeting and retargeting options. Pinterest is a targeting heaven, offering fine-tune optimization options for various kinds of campaigns. 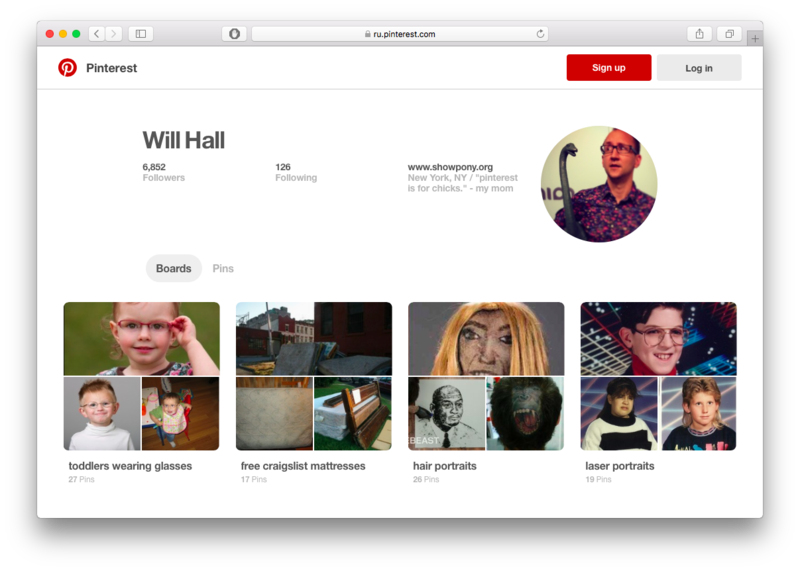 Proving that Pinterest can be used for much more than hobbies and recipes, Will Hall, an executive creative director of Rain, proves on his Pinterest profile how this platform could be used as a “creative outlet”. Will goes beyond his own work and also posts images of homemade tanks, bizarre arts, dinosaur erotica (whatever that might actually mean). More than 4,600 followers gather around these pins, which makes his profile a significant media entity. You know that a creative is truly a Pinterest fan, when he’s been using it since its beta stage (2010). A real veteran pinner, Richard LaRue, a senior art director of Leo Burnett, has a stellar number of almost 700,000 followers on his profile! The term “influencer” is most commonly assigned to Instagrammers, but Richard can certainly carry that title on Pinterest. From print design, to architecture, cooking, photography, his boards are an exceptional piece of social media art themselves. The first, and his personal favorite, the board “Design Thinking” has over 6,000 pins (and counting). Finally, a couple which leads influential media and design Pinterest profiles. These pins are created by two creative directors in Omelet – Christine and Clement. They see Pinterest as a space for both work and play, but also as a creative resource and a place for sharing. The way in which any individual or an agency can use Pinterest? As far as the imagination goes, really. Empowered by its openness, creative freedom and an easy-to-use, easy-to-grow, easy-to-share nature, Pinterest is a home for creative and ambitious souls. As you saw yourself through those colorful examples, this social media network can be explored as a valuable weapon for marketing and impact, by professionals of various profiles. Pinterest in a couple of words is: Visual – Simple – Organized – Far-reaching – Creative. So, what are you waiting for? Start pinning! The clear and easy-to-use platform that leads interested visitors straight to the website Note: Image-based marketing became crucial for brands and consumers alike, no matter the niche/industry. There is no “expiration date” on pins – the shelf life of posts on Pinterest is among the longest online. If it’s interesting, valuable and useful, your post could travel through this platform for months, even years. 87% of users on Pinterest have purchased a product after seeing it on this social media website. Boards – basically, places where categorized content should be stored. Secret boards – hiding the content might be useful when you’re preparing the board before presenting the to visitors, or doing competition research. Group boards – multiple pinners can also share content within a single board. “Pin it” button – a widget or a plugin added to your site or blog, making pinning of any type of content possible in a blink of an eye. Repin – the elegant brother of Facebook’s share and Twitter’s retweet, repin is used to spread other people’s amazing content. Likes, Comments – Something as simple as liking and leaving a short (but not generic) comment might lead to further engagement and hopefully, more sales. Always post only high-quality, clear, in one word – great images! Get to know your target market well before diving into actual posting. Whatever content you might be linking to your pins, ensure that it’s valuable, informational, educational, entertaining, memorable, and helpful. Don’t just pin and leave. Follow and support other pinners, as you’ll never know who might be your next customer. Check the analytics data frequently and constantly fine-tune the marketing strategy. Promote your Pinterest profile: on your company’s website, blog, other social networks, or via email. Avoid using vague, general tags, such as #marketing. Try being as specific as possible. Do your (keyword) research. Unique, branded hashtags work well on Pinterest. Avoid placing too many hashtags into your descriptions, as doing so might seem spammy. * Any kind of spam-like activity may negatively affect your ranking and should be avoided. By personalizing the user feed, Pinterest gave you freedom to pin anytime you feel like it, without the possibility of overwhelming your audience! Amazing. Almost all days are high engagement days on Pinterest! But different topics are popular on different days. All in all, the peak engagement part of (any) day is afternoon and evening, and a peak day in total is Saturday. The way in which any individual or an agency can use Pinterest? As far as the imagination goes, really. 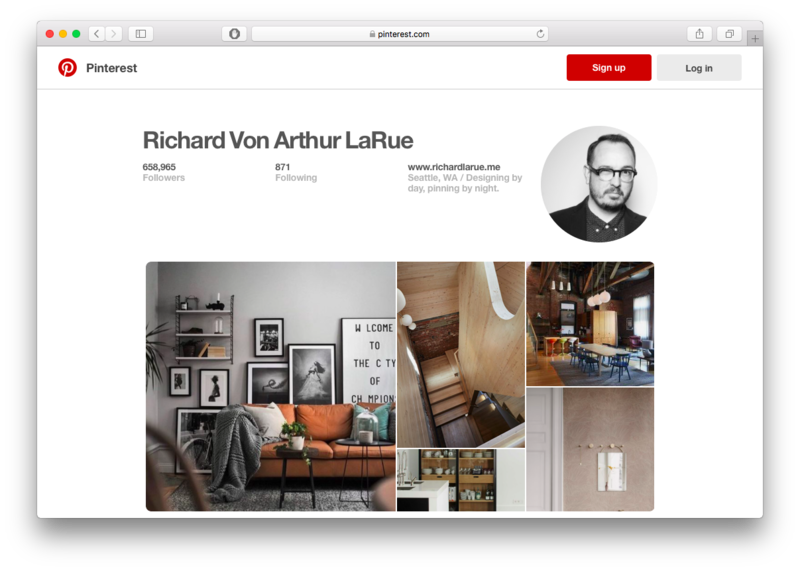 Empowered by its openness, creative freedom and an easy-to-use, easy-to-grow, easy-to-share nature, Pinterest is a home for creative and ambitious souls of all profiles and professional goals.